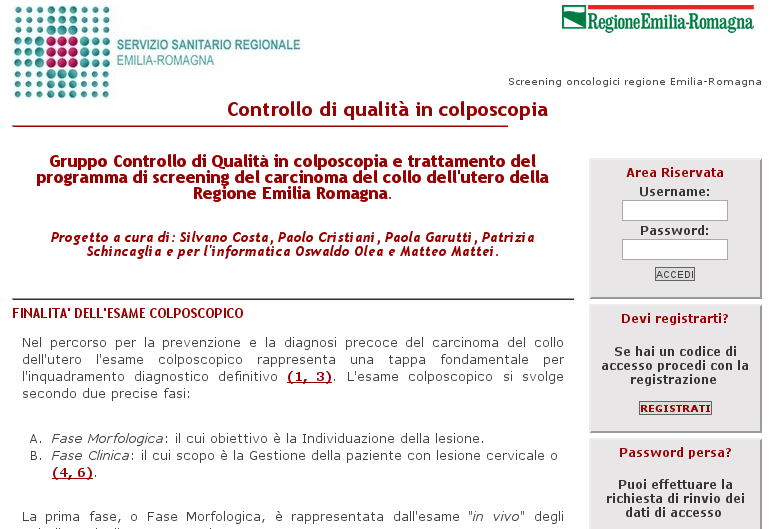 This is a medical web application and portal for doctors of Regione Emilia Romagna. The purpose of this project is to share informations between the doctors specialized in colposcopy and let they reply to a sort of quiz where they can choose to operate or not. If they think to operate the patient with the case in exam, they have to choose the exact point of the biopsy. Group management (for multiple regions/countries).